I’m growing increasingly sceptical of perfumes and, for want of a better word, the crap that laces the potions and lotions we lather ourselves with on a daily basis. My grandmother believed in aqueous cream and avocado – this comprised her beauty regime and she died looking a great deal younger than her peers. Another firm believer in all things hand-made and au naturale is Body Thrills, a local brand of his and hers beauty products that, erm, cuts the crap. 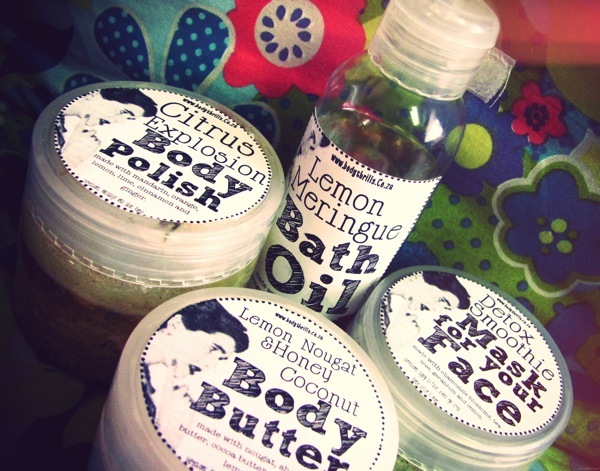 Let me start by mentioning I had to restrain myself from eating the lemon, nougat and honey coconut body polish. I have never smelled a product as edible and utterly delicious as this one, let alone a natural one minus perfumes and preservatives. I’m sniffing the jar as I write this and fear I may have developed an addiction. The entire range is truly irresistible and your skin will thank you. Take a look at the Body Thrills menus which resemble beauty product p*rn: menu, manly menu and pregnancy menu.